We have reached the end of our week-long Moose Day Celebration. Did you enter the MOOSE DAY Giveaway? If you didn’t, I bet you regret it. And if you did, you’re probably waiting with bated breath for the announcement of the winner. I’m here to un-bate you. Because I’m just that kind of girl. OK, I won’t keep you waiting any longer…. 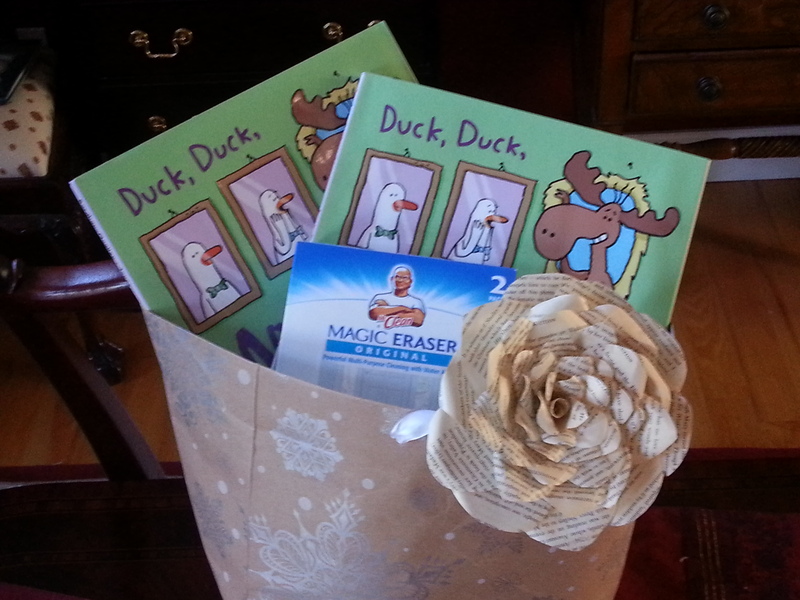 Thanks to everyone for entering, celebrating, tweeting, posting, ducking and moosing…Mostly, thank you for helping me to welcome DUCK, DUCK, MOOSE into the world with all the love that I was hoping for. You’re the best! 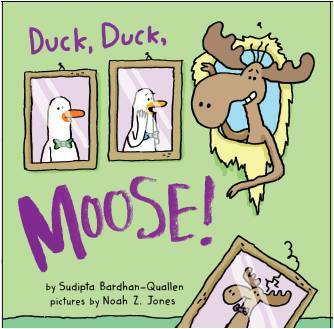 This entry was posted in Contests and Giveaways and tagged children's author, contest, disney, Duck Duck Moose, giveaway, Hyperion, Noah Z. Jones, picture book, prize, Sudipta Bardhan-Quallen.